Would really love 2 be there especially cos of ma CEO… Olori osha 1 of planet earth…lol. Btw I think its gon be a gr8 event so I’d love 2 be part of it. I will lilke to be there. G?????ø??????d???? bless olori TP & Yemi Sax (my name sake). Yemi sax….what an artist! Sure it gonna be a wooooow show!!!!! Am going to be there life… Can’t wait to see yemi sax. I will really love to attend. 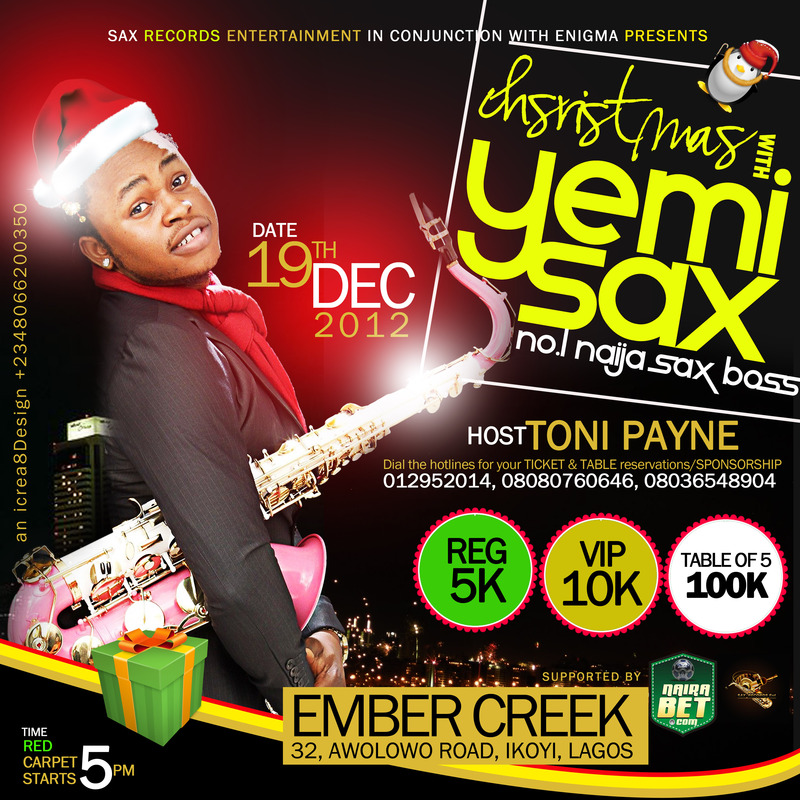 Yemi sax is a bomb………I want to be there tony! Plzzzz,can ?? get ã ticket already! !can’t wait †• Be there!